ous; because perhaps this image doesn’t match your experience at all. If you’re spending Christmas with your family this year and you find this difficult, try to be kind to yourself if you can. Families can be a place where you can feel unsafe or just struggle to hold onto any compassion you have for yourself. Elizabeth Gilbert talks here about how our ‘buttons’ can be pressed so easily by our family, because it’s often our families who had a hand in installing them. It can be painful to experience this yet again – the feeling that you aren’t accepted by those people you most wanted acceptance from. If this is the case for you, try to work out how you can take some time out, whether that’s going out for a walk or run on your own, going to bed early and using that time to write and connect with how you are feeling; basically, if you can, come up with a plan to get some time for yourself, however that might work for you. 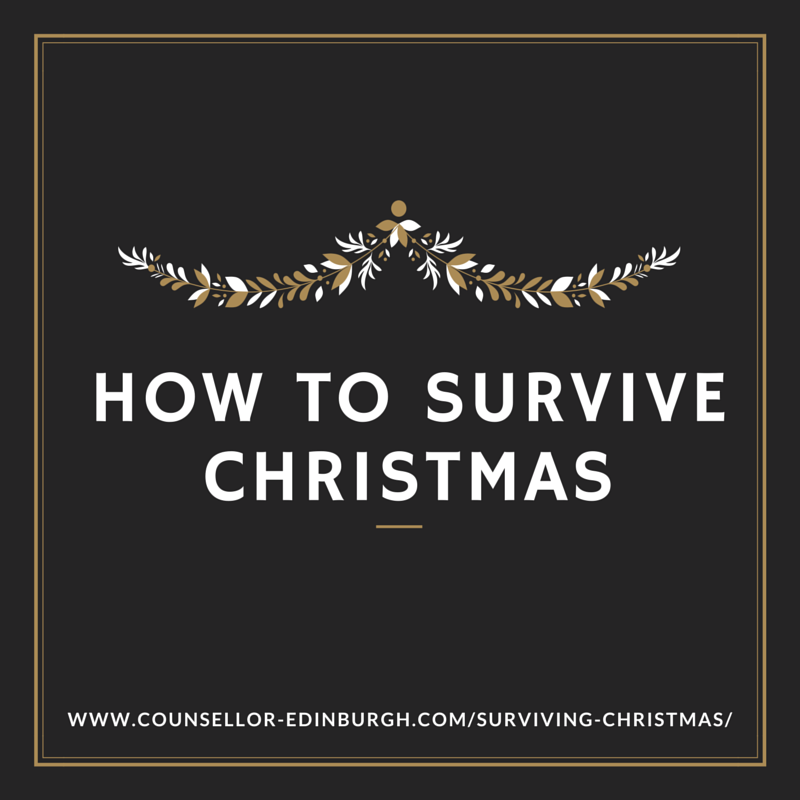 There are a few important tips you might like to think about or try to help you to survive the Christmas period. They include boundary setting, having realistic expectations of yourself and others and making time for things that are important to you: you can read more about this here. Christmas can be a lonely time too. Whether this is because you’re on your own, or surrounded by people who don’t seem to understand you; the ache for belonging can feel particularly acute. Loneliness can be hard to bear, a deeply painful and fearful experience. Loneliness is a complicated thing too, one aspect of which can come from our experience of relationships growing up and the way in which we survived these relationships. As adults, these methods of surviving may not be helping when developing close relationships – in fact, they might be keeping us isolated. This is where counselling can help, by helping you to value and understand your ability to survive difficult relationships, then choose (when feels safe and appropriate) to live differently. The other aspect I spoke about here; the human experience of never being able to share everything that goes on inside of us with others. Part of my reason for writing this post is that I want to say to those who feel lonely, anxious or sad at Christmas; this is painful, it really is, you are not bad for feeling this way. I want you to know that your experience can be understood and you are here in your life because of all that you’ve survived. So try to be kind to yourself at this time of year, if you can. If you’d like to explore counselling with me in the new year please get in contact – together we can begin to explore relationships and your experience of life so far.